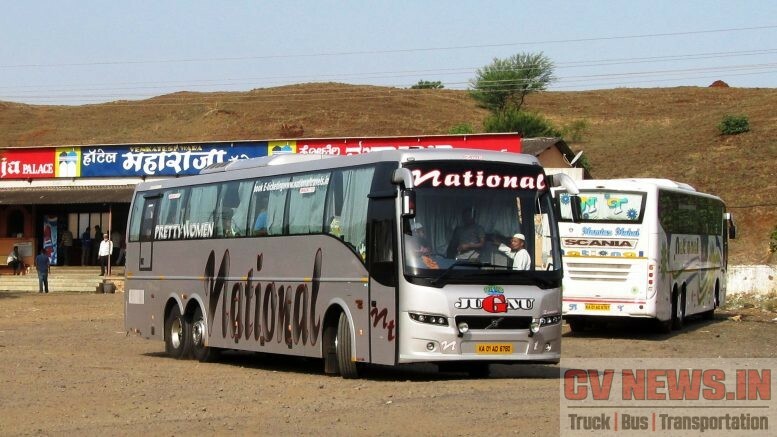 With Volvo and Scania occupying centre stage in premium intercity coach market, our reader Mr.Shantanu shares his views and points towards these coaches. Scania Metrolink is designed to be the highly reliable multi-purpose coach for medium and long distance travel. 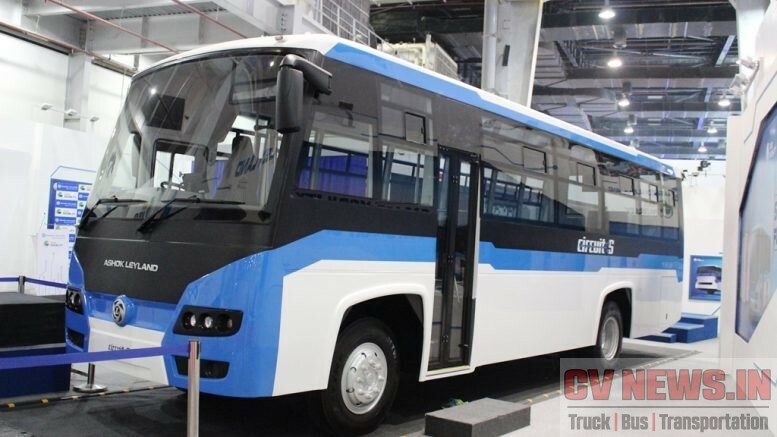 As far as Comfort and luxury is concerned, Scania is bit ahead as compared to Volvo coaches. 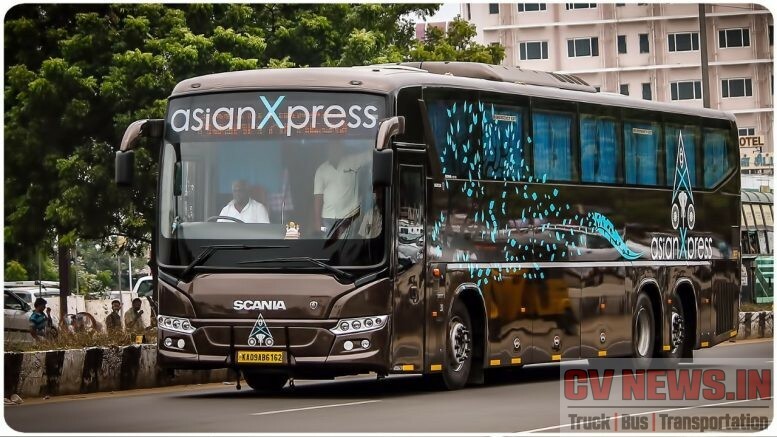 Scania as a brand has always delights with its premium range of Scania Metrolink High Decker (HD) coaches with its features and superior driveline. The seats are supplied by Harita. 53 reclining passenger seats with footrest, calf support and magazine holder or 57 reclining passenger seats with footrest and magazine holder. Seats are provided with individual service sets and are with individual AC louvers for two passengers, reading lights and integrated speakers. The overhead rack – hatracks are deep and tall – putting a bag into the rack was quite easy, and one needn’t be scared if it bounces out when the driver jumps on the brake. The Gangway area is quiet broader . Its Anti skid vinyl, with carpet to avoid skidding. 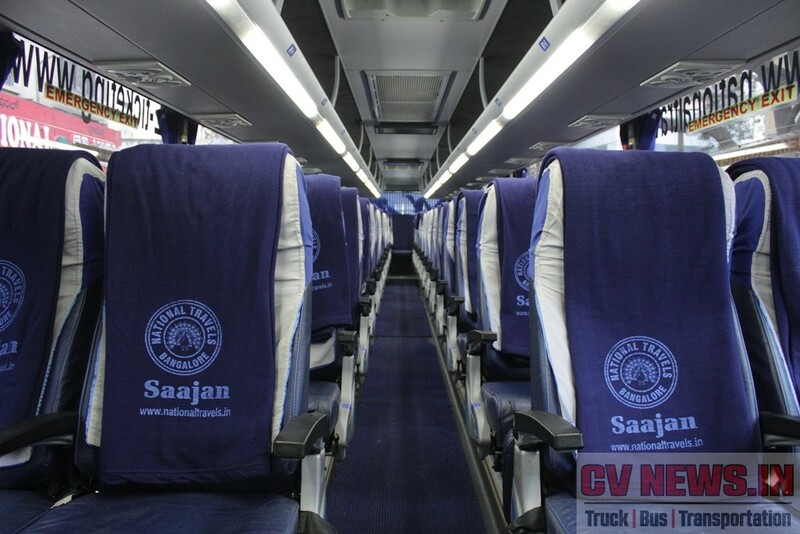 The coach includes LED Screens placed at front and middle for entertainment purpose. 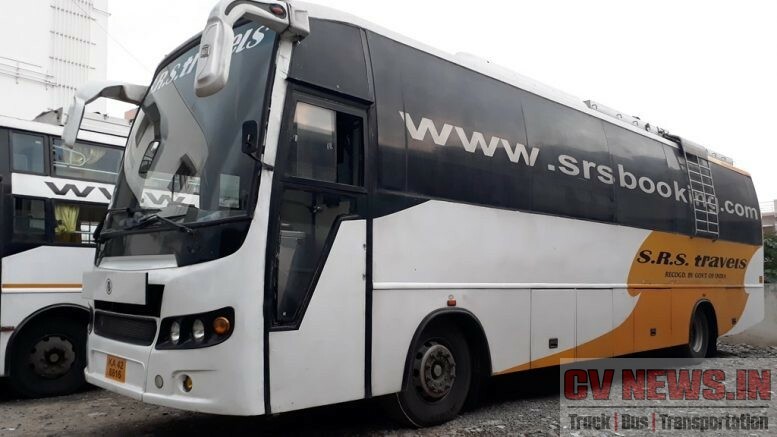 The experience of the comfort of the coach and its suspension can be felt even in sharp curves on the highway where in, The traction control is impressive. 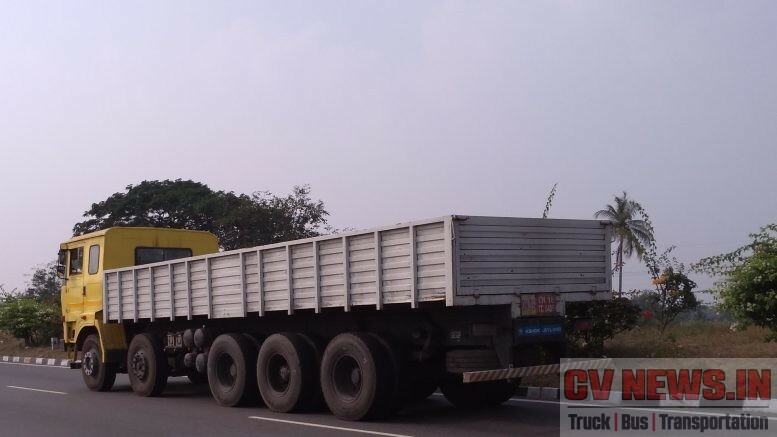 The Scania performed very well on the Ghat Roads due to the impressive torque of the engine. This bus had the best interior finish I had seen till date. 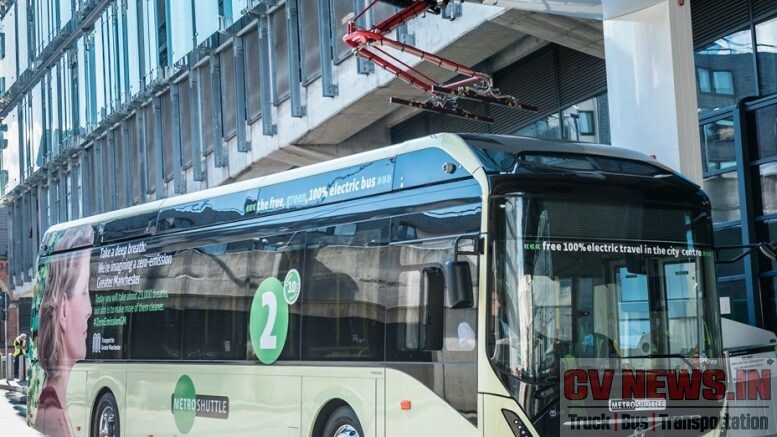 Contemporary in design and styling, Volvo B9R Multiaxle coach is an advanced transport solution for operators and passengers. For customers it translates into increased revenues and improved transport economy and for the passengers its means an even more comfortable ride on long distance travel. 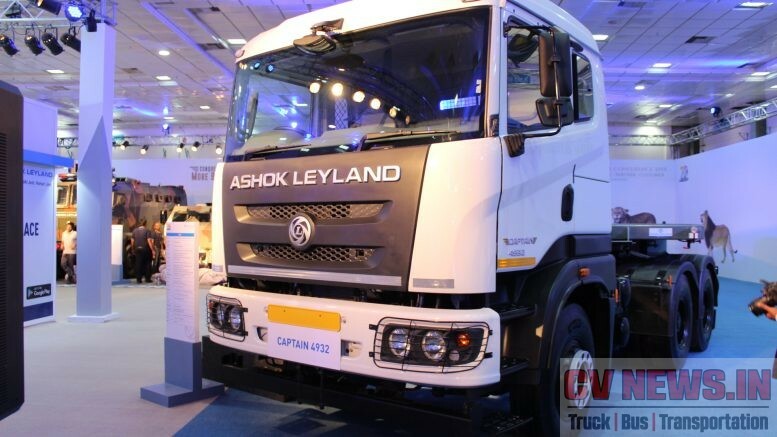 The sturdy and rigid vehicle structure ensures a superior body; Comfort moves to luxury with low noise and Vibrations. Going in detail about interior comfort & luxury; it offers capacity of 53 luxury Harita seats with recliners. The AC vents placed above the seats are easy to adjust and the lighting is subtle and adequate. The hatracks are designed to carry light weight personal belongings only. All heavy luggage should be placed only in the under-slung luggage compartment. The gangway is broad enough for a passenger to walk with his handbag till end of the coach. Its Anti skid vinyl, with carpet to avoid skidding. Entertainment system consist of 3 LED Screens which are placed at front, at middle and at a quarter end of coach respectively. Needless to say that Volvo re-defined comfort, class and luxury to Indian travelers. 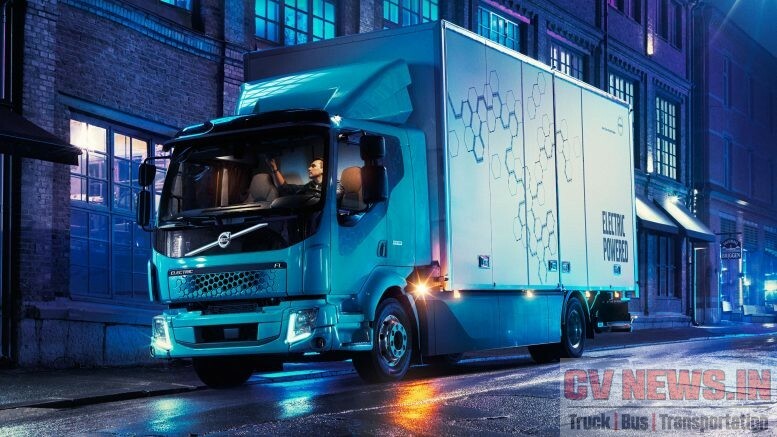 Both Volvo and Scania have their own views in the area of technology, however they have both won hearts of people for being safe and comfortable. 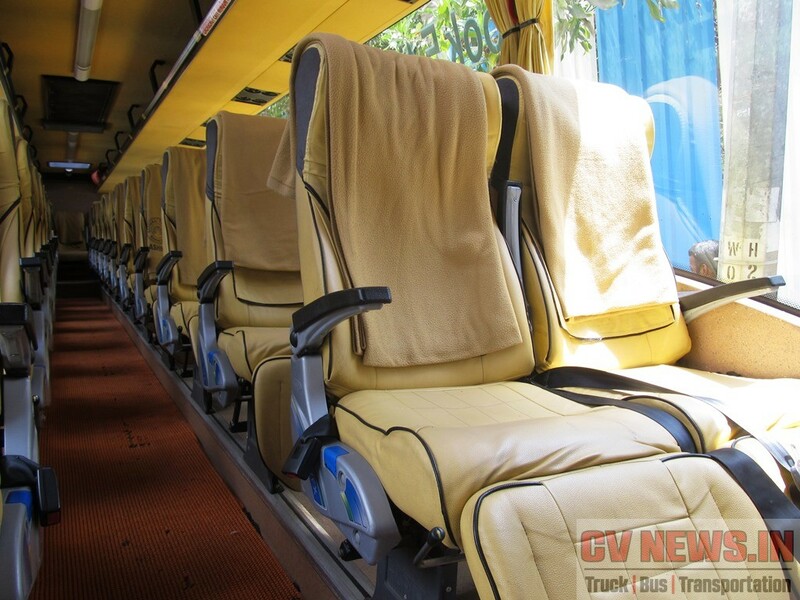 The comfort and safety levels of Scania buses too are top class. 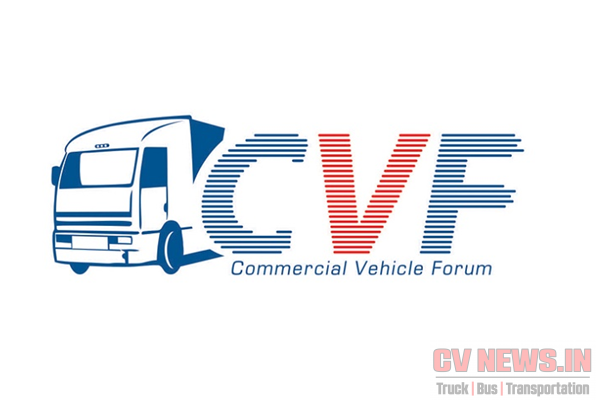 Be the first to comment on "Volvo and Scania – Differentiating features"